A Delicatessen, or Deli for short, is a shop that specializes in delicacies, fine and specially prepared food. Morty’s the New York-style deli, is situated on the lower ground floor in Jardine House, Central, and Starstreet, Wan Chai. Morty’s is a modern take on the classic delicatessen concept while still preserving traditional methods that have been instilled in our recipes and practices. Morty’s is a full-service restaurant offering breakfast, lunch, happy hour, dinner, online ordering and corporate catering. 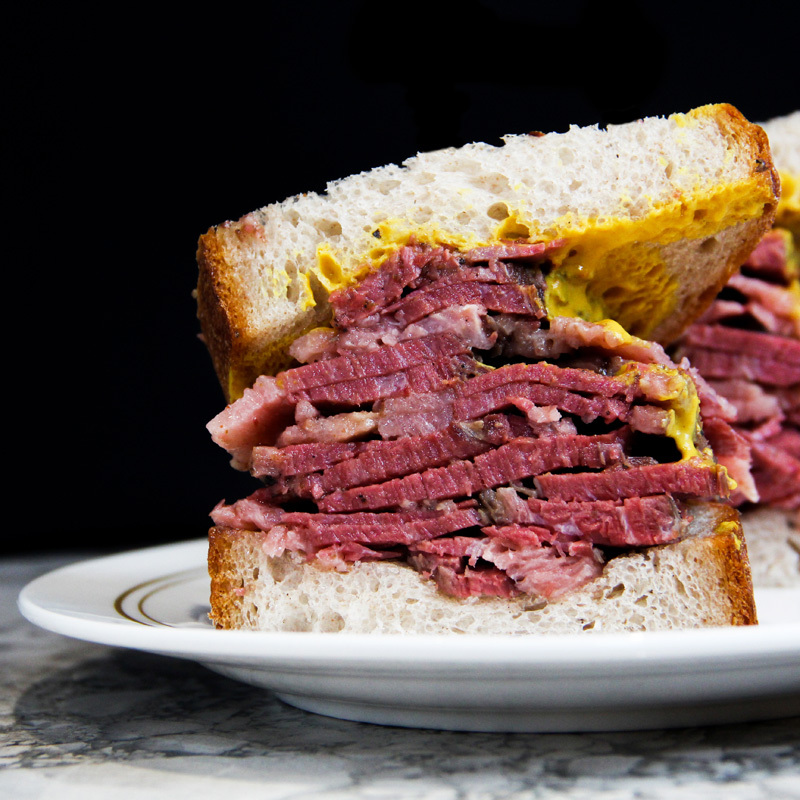 Morty’s serves classic and specialty deli sandwiches made with premium cuts of meat that have been smoked in-house. Morty's prides itself by delivering fresh in-house baked bread and pickled veggies, salads, poutine, gluten-free sauces, and dressings, smoothies, an array of cocktails, draught beers, craft beers and proudly serving Elephant Grounds coffee. MORTY'S IS SERIOUS ABOUT IT'S BEEF. Sticking to tradition, Morty’s 45-day aging process is all done in-house from the spice rub to the curing and smoking, even down to the final resting of the beef. Our beef is cured for more than 20-days at a controlled temperature, then set to cook for another 24hrs, and smoked to perfection using American Hickory and Cherrywood chips to bring out the sweet yet strong, hearty bacon-like flavors of the meat. After this five-stage process, we allow the brisket to cool to the ideal temperature, then steam it to revive the natural juices and slice it to perfection. Other house-smoked meats we are offering include duck, turkey, and chicken. Our team prides itself on the quality and freshness of our products. Everything is specially handcrafted and made in-house, from loaves of bread, to pickles even sauces and dressings. All meats are cured and smoked in-house to maintain and ensure consistency in flavor and quality. This love and dedication is present in all processes, like baking our bread, pickling our own vegetables, and creating original recipes for all our sauces & dressings. For us, sustainability is a philosophy. It's a philosophy that applies to how we conduct ourselves as a business. We make strides to further our commitment to promoting fair labor standards as well as small, local US farmers who also practice ethics and sustainability.